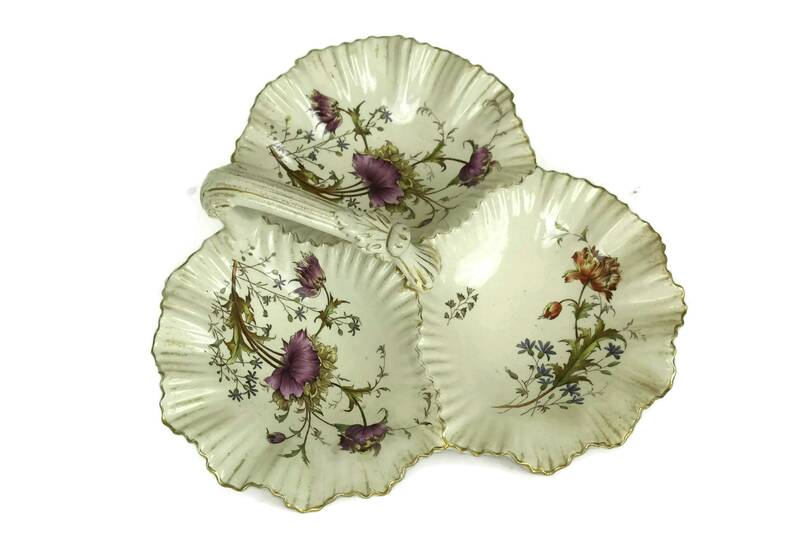 Antique Victorian Hors d'oeuvre Platter. 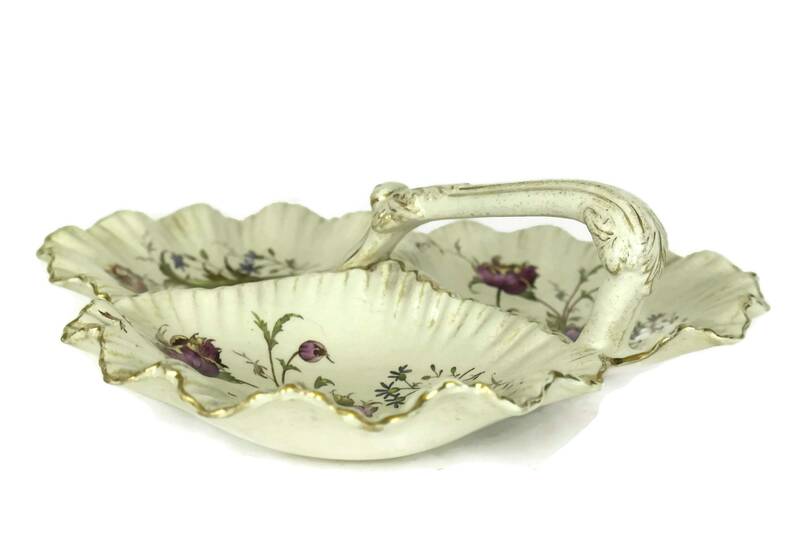 Wiltshaw & Robinson Stoke on Trent Trefoil Sweetmeat Dish with Poppy Pattern. Sweet Serving Tray. 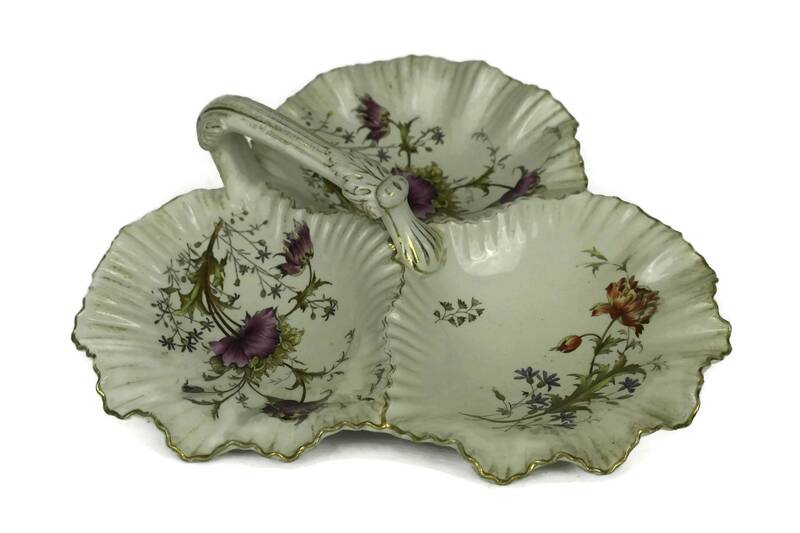 A superb antique Victorian hors d'oeuvre dish manufactured by Wiltshaw & Robinson in Stoke on Trent in the late 1800s. 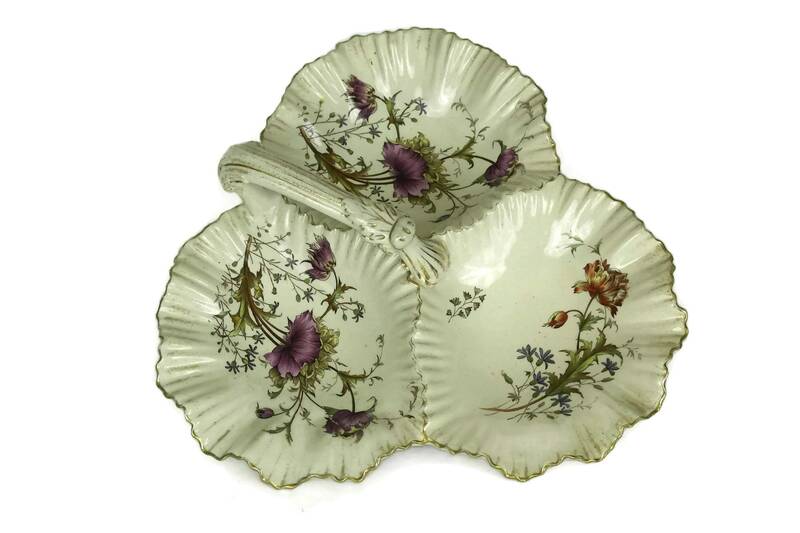 The trefoil sweetmeat platter is divided into three compartments, each section having been decorated with the hand colored "Poppy" Pattern. 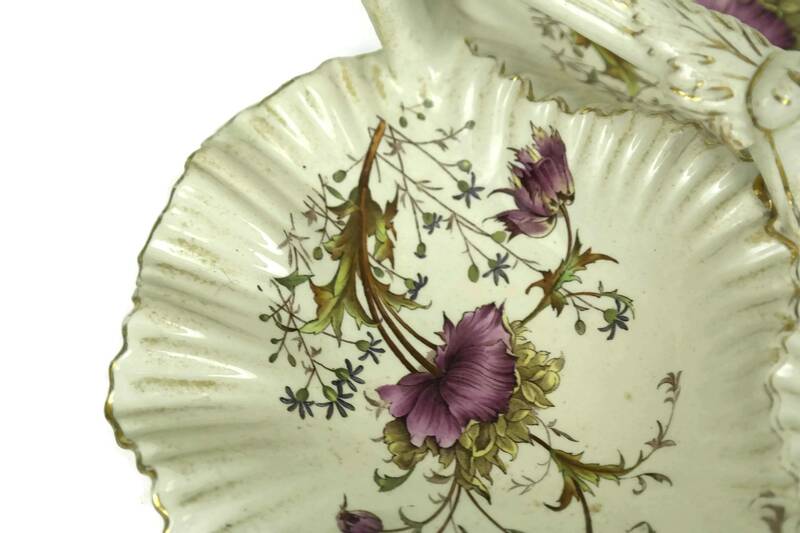 POPPY was one of the earliest patterns produced by Wiltshaw & Robinson and was very popular having many variants. It was registered as a design in 1893. 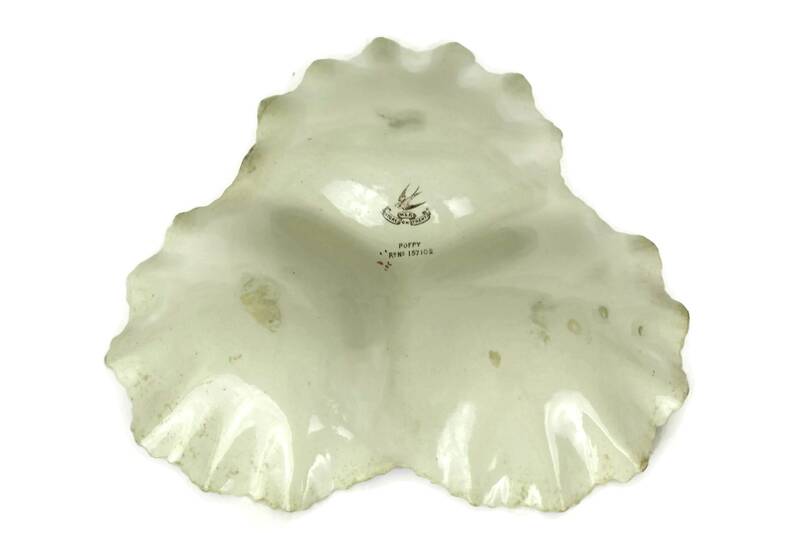 The serving plate has an elegant carrier handle. 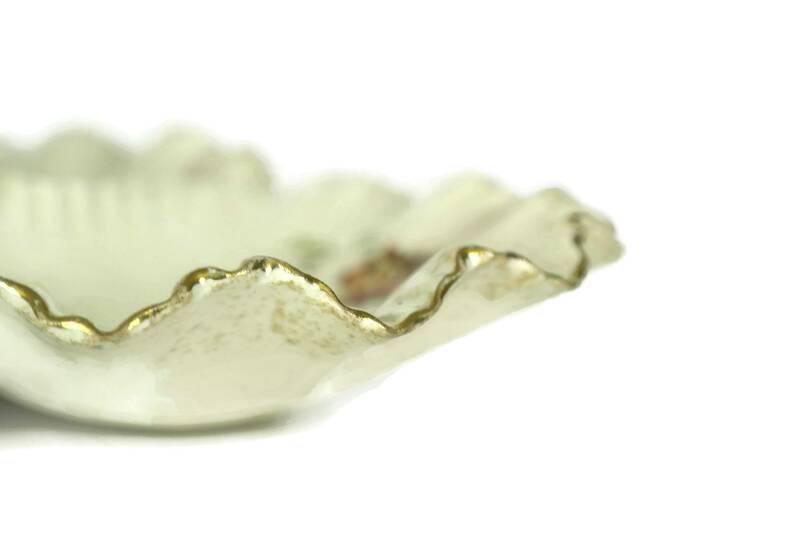 It can be used as an elegant tray to serve appetizers or sweets. 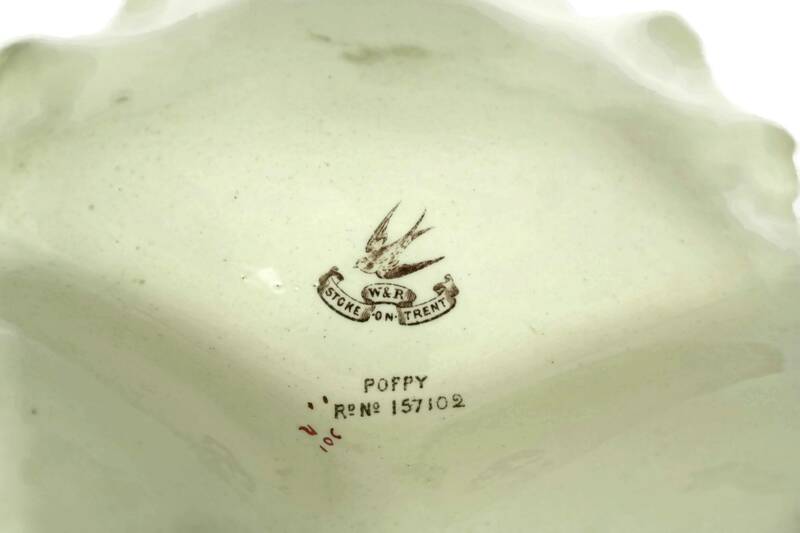 The platter has been stamped on the underside with the W&R Stoke on Trent mark and the Poppy reference number 157102. 10" Long x 11" Wide (25 cm x 28 cm). 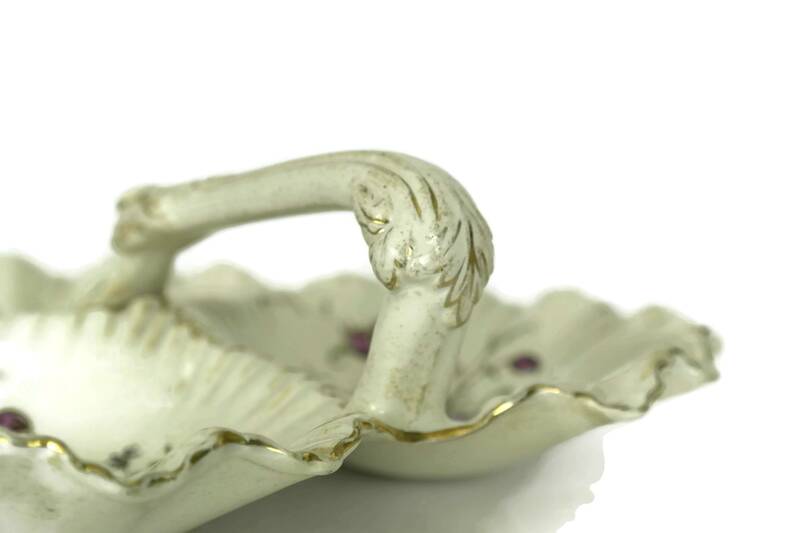 Including the handle: 3" Tall (7,5 cm). The piece is in very good antique condition with some signs of wear including some surface marks and discoloration spots. 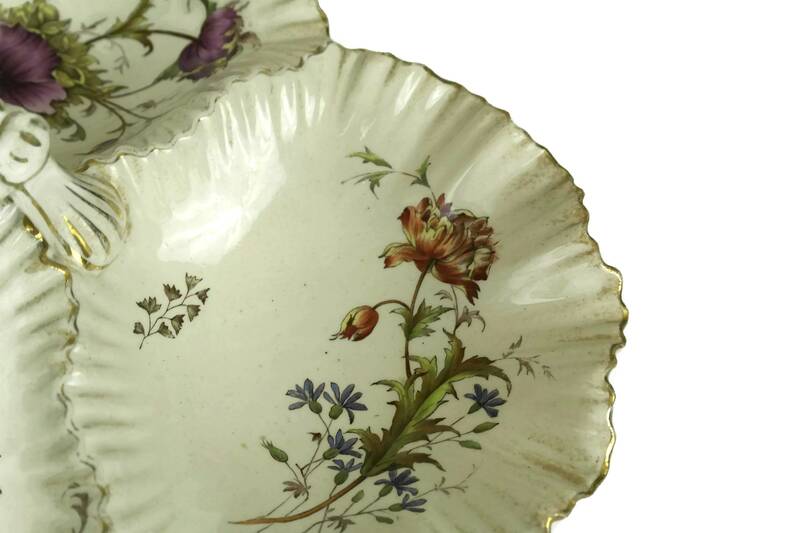 The gilt trim has worn away in places. There are no chips, cracks or crazing.